After the victory of the Allies in World War I, Emperor Charles I, the last head of the Austro-Hungarian empire, became the first “exiled ruler” in Madeira, a historic moment on which 97 years pass on Monday . The arrival of the emperor, a figure cherished by the Madeirans and still today of interest by residents and visitors, occurred on November 19, 1921, after the Armistice was signed, which ended four years of war (in 1918) and fall of the Austro-Hungarian Empire, defeated in the conflict. To avoid a recomposition of the empire, since Carlos I never signed his abdication, the Allies sent him to Madeira, because the island was far from the political theater. Carlos I had left Gibraltar aboard the British cruiser Cardiff and, due to financial difficulties, settled in Quinta no Monte, in Funchal, then ceded by the banker Rocha Machado. At the time of his death (after 134 days of living in Madeira), mourning was decreed in Madeira – shops closed their doors and a large crowd from various parts of the island made a point of paying tribute to him, and it was common for locals to ask him also thanks in the region’s patron church. It was at Quinta do Monte that she died on April 1, 1922, a victim of a “double influenza pneumonia”, at age 34, according to her death certificate. “In exile, died yesterday, in Quinta do Monte, St. M. Imperial Carlos of Austria,” he also wrote the Diário da Madeira. 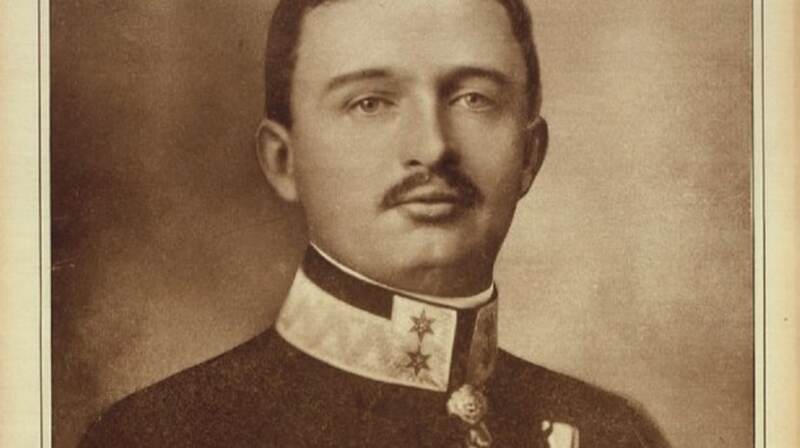 According to the three medical assistants, “his corpse was soon embalmed,” but following the tradition of the Habsburgs, his heart was taken by Empress Zita to Vienna. Buried in a dependency of the Parish Church of Our Lady of the Mount, elevated to national sanctuary, the body is currently in a tomb chapel, inaugurated in 1968. The mortal remains are in a safe of lead, placed in an iron strong box. Quinta do Monte, now Quinta dos Jardins do Imperador, was acquired in 1982 by the Regional Government, which intends to install the Museum of Romanticism in a public investment of 1.2 million euros. Due to the ex-emperor’s religiosity and a miracle attributed to him – the cure in 1960 of a varicose ulcer in a Polish nun, a missionary in Brazil – Pope John Paul II beatified him in 2004. A statue in the churchyard of the Parish Church of Our Lady of the Mount and a permanent exhibition make their passage through Madeira last. Even today, their descendants move to Madeira frequently.